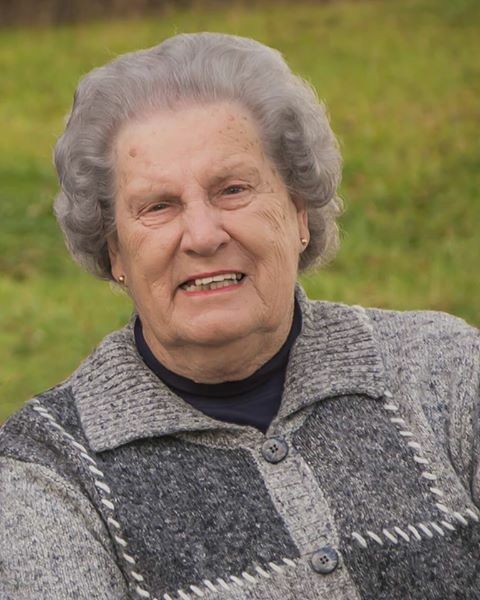 Mary Jane Fahrendorf, 87, of Blackwater passed away Friday evening February 1, 2019 at Boone Hospital Center surrounded by her family. Visitation for Mary Jane will be 6 to 8 P.M. Monday, February 4 at S.S. Peter and Paul Catholic Church with a Rosary being recited at 5:45 P.M. Mass of Christian Burial will be 10 A.M. Tuesday, February 5 at S.S. Peter and Paul Catholic Church with Fr. Phil Kane officiating. Burial will follow in the church cemetery. Mary Jane Fahrendorf was born June 25, 1931 in Cooper County, MO, the daughter of Herman Bonen and Bertha Widel Bonen. She attended school in Martinsville and graduated from Pilot Grove High School. Mary Jane married Edward Fahrendorf, Sr on May 11, 1954 in Boonville at S.S. Peter and Paul Catholic Church. She owned and operated Fahrendorf Supply store in Blackwater from 1960 until 2003, selling Kent feeds, seed, hardware, groceries, and general supplies. She then worked in the jewelry department at Walmart until she retired. Mary Jane loved Avon, especially Skin So Soft, it had a purpose for everything. She was a member of S.S. Peter and Paul Catholic Church and the Daughters of Isabella. Mary Jane was involved in her community as a 4-H leader, Blackwater Lions Club, Willing Workers Extension Club, Friends of Blackwater and secretary of the Blackwater Fire Dept. She loved her friends and family, especially her grandkids and great-grandkids, they brought a big smile to her face and she loved to spoil them. Mary Jane was preceded in death by her parents, Herman and Bertha, brothers, Charles, Gerald, Kenny and Ronnie Bonen and sister, Donna Kateman. She is survived by her husband Ed Sr of the home, Son, Eddie Jr of Blackwater, daughter, Nancy (David) Watring of Blackwater, Sisters, Dorothy Imhoff of Blackwater, Judy (Jim) Acton of Hallsville, Monna Schuster of Blackwater and sister-in-law, Wilma Bonen of Blackwater. She will be missed by her grandkids Brian Fahrendorf, Leighanne Fahrendorf, Mandy (Peter) Thaller, Corey Watring, Tanner (Whitney) Fahrendorf and great grandchildren Bradyn Fahrendorf, Chandler Fahrendorf, Hadley Fahrendorf, Dixie Thaller, and Charlie Thaller. Memorial contributions are suggested to S.S. Peter and Paul Catholic Church or St. Joseph Catholic Church.